The under-23s had to play for much of the second half with ten men this afternoon against Birmingham City. 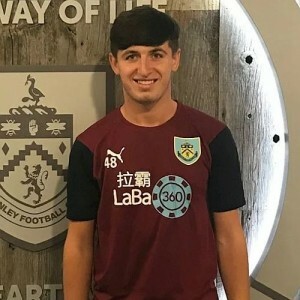 When left-back Matty Rain was sent off we led 2-0, but Birmingham could only pull one goal back via an own goal with the young Clarets moving level on points with the Blues. This was no academy style game, more an old fashioned, feisty fixture with a referee not slow to pull the cards out and a fourth official being put under a lot of pressure from Birmingham coach Paul Robinson. It was always going to be a tough game between the second and third placed teams in the league and it was us who started by far the better of the two. Dan Agyei should probably have given us an early lead having been put through by Josh Benson. Unfortunately, he couldn’t get the better of goalkeeper Zach Jeacock who was able to save and keep his side level. Agyei soon made amends though, playing in Marley Blair with a delightful ball after making a great run out of defence. Blair is very much in goalscoring form and netted to give us the lead on nine minutes. We doubled the lead midway through the half from the penalty spot. When a corner came in from the right, the referee spotted something and didn’t hesitate in awarding a penalty. The Birmingham players contested the decision but, having said that, they contested just about everything that didn’t go their way. Up stepped Jordan Cropper to take the kick but the delay before he could take it was so long I thought VAR had been introduced in the Professional Development League. Eventually the right-back blasted the kick high into the left hand corner of the net. Little had been seen of Birmingham until they forced a good save out of Adam Legzdins just before half time. We’d played well in the first half, fully deserved the lead and there were few concerns that Birmingham might get back into the game. That all changed just seven minutes into the second half. We’d already had a couple of half chances to extend the lead but were then dealt the blow of losing Rain to two yellow cards. I’d no complaints over his first yellow and the second was some distance away although it looked soft. But the reaction of the Birmingham players, and their bench, demanding the card, left much to be desired. Just a few minutes later we got Scott Wilson on to play on the left hand side of defence with Blair sacrificed and Agyei moved to the left of the midfield in a 4-4-1 formation. It’s the first time we’ve seen Wilson in a Burnley shirt for some time; he’s been out at Stalybridge Celtic on loan. It became more difficult with Birmingham getting the ball forward and putting us under as much pressure as possible. We defended well but with still over twenty minutes remaining they did pull one back. It was a Cropper own goal, in some ways similar to the one conceded by Kevin Long two days ago. Birmingham sensed they were going to get something from the game but we defended superbly and did our best to get some possession going forward when we could. We got to the 90 minutes still in front. Sometimes the extra minutes are shown in this league. It didn’t happen today and the referee just kept playing and playing, eventually bringing it to an end after more than eight minutes of stoppage time. We’d won it 2-1 to take the points and I think, given the circumstances, we fully deserved them. It was a team effort and every single one of those players played their part, but I have to mention the two central defenders Bobby Thomas and Anthony Glennon who were outstanding in dealing with the second half pressure. It’s a first win since mid-December, when we beat Sheffield United 3-1. It’s taken our points total to 33 points, just one less than our final total last season. 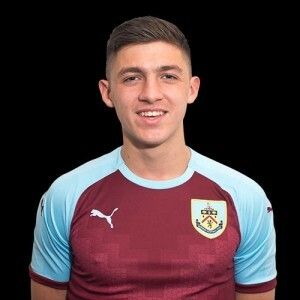 Burnley: Adam Legzdins, Jordan Cropper, Bobby Thomas, Anthony Glennon, Matty Rain, Tunde Bayode (Tinashe Chakwana 86), Mark Howarth (Trialist 90), Josh Benson, Marley Blair (Scott Wilson 57), Rob Harker, Dan Agyei. Subs not used: Aidan Stone, Ed Cook. Birmingham: Zach Jeacock, Corey O’Keeffe, Ryan Burke, Cameron McGilp, Geraldo Bajrami, Joe Redmond, Olly McCoy, Ryan Stirk, Josh Andrews, Jude Bellingham, Odin Bailey. Subs: Ben Forrest, Kieron Dawes, Ben McLean, Kyle Hurst, George Baker.